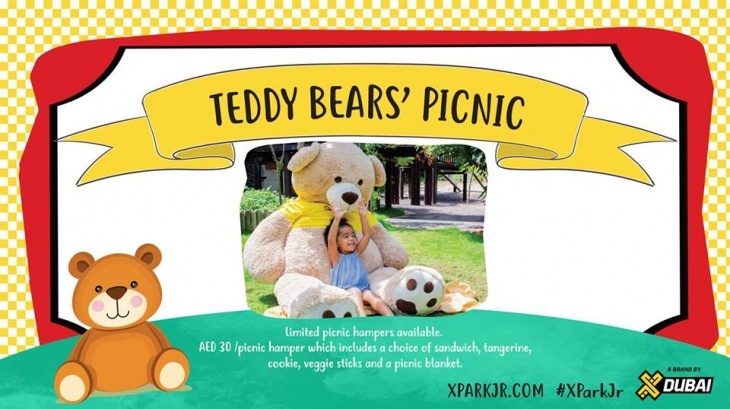 The XPark Jr Teddy Bear’s Picnic Is Back! Hey kids! Our XPark Jr bears are coming out of their summertime hibernation and are ready to picnic with you again! Yup, if you go down to Xpark Jr on the morning of Friday, November 9th you’re in for a BIG surprise and plenty of fun too. Bring your favourite bear or cuddly toy, book one of our picnic blankets and settle down under the trees for a morning of treats including mini sandwiches, veggie sticks, cookie and fruit (plus all the bear necessitites) served up in a little basket complete with a little gift for each child too. There’ll also be loads of fun activities including teddy bear arts & crafts and the chance to run wild (bare/bear foot of course!) through our natural playscape. See you here for a BEAR-y good time!